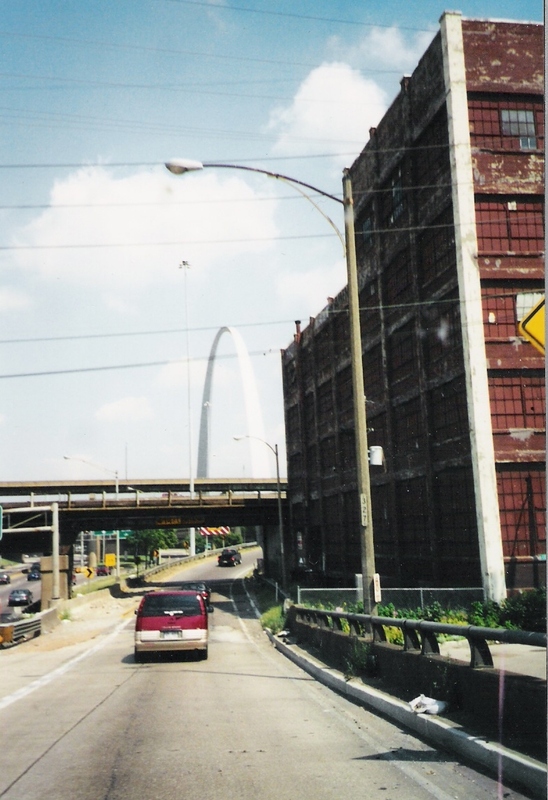 Oh back in the day, Aunt Brenda sent me these pictures of St. Louis and I just now have them up on my site. But that's okay, I appreciate them! Enjoy! 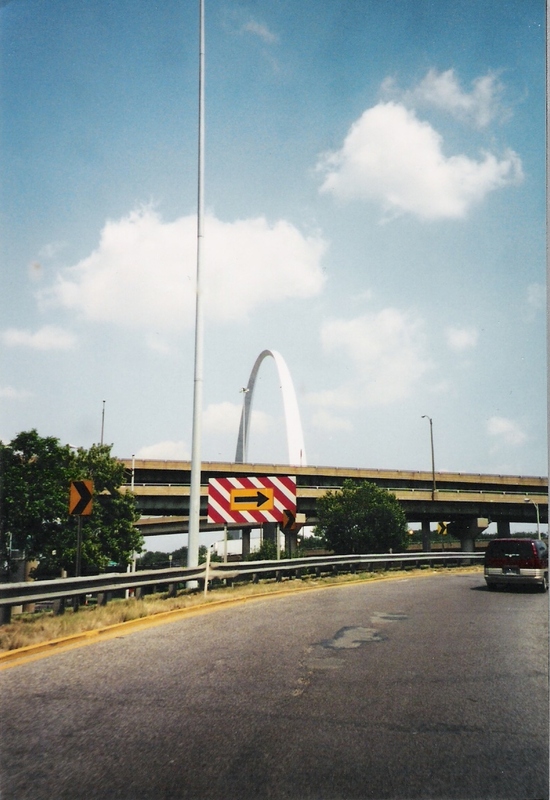 This is where I-55 turns toward Illinois in downtown St. Louis. 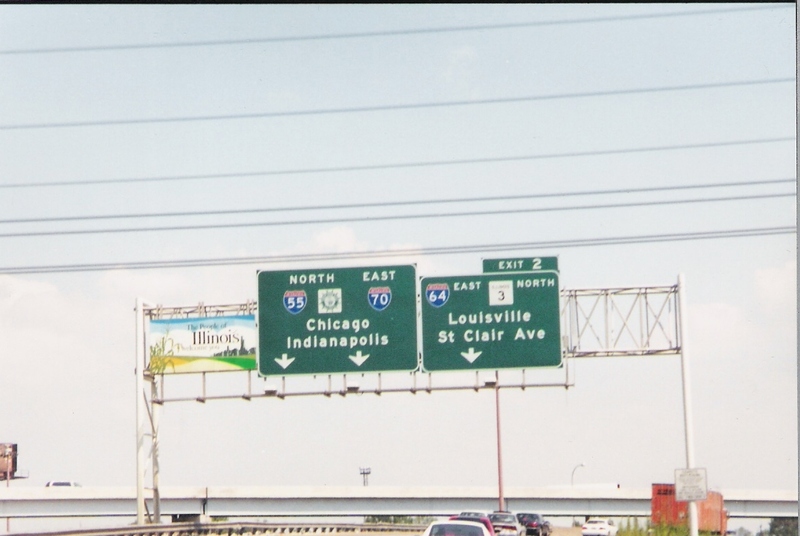 I-55 exits itself here, and the freeway it was on turns into I-70 West. This is a wider view of the I-55 exit. 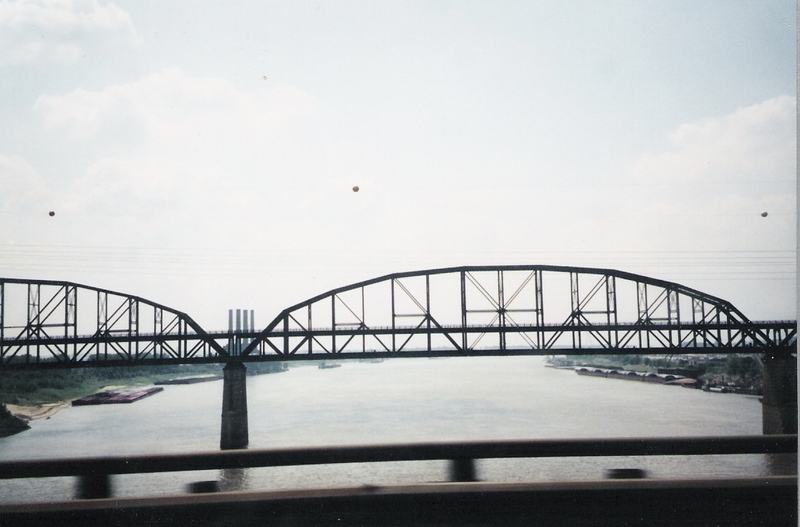 I think this is a railroad bridge just south of the Poplar Street Bridge over the Mississippi River. Here we go into Illinois! 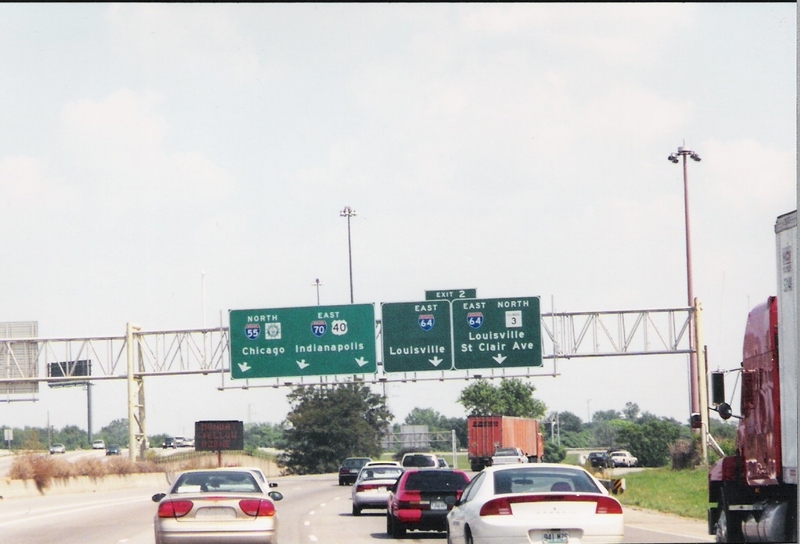 The people of Illinois welcome you! 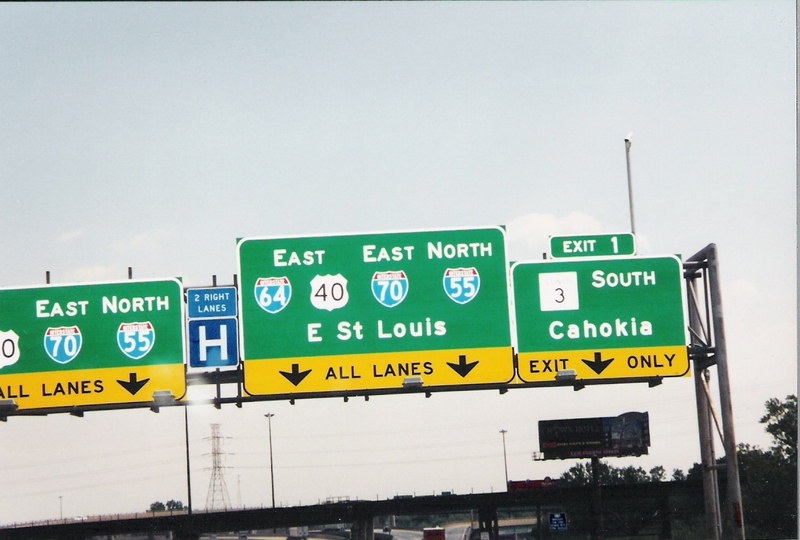 The triplex of interstates in East St. Louis, IL. 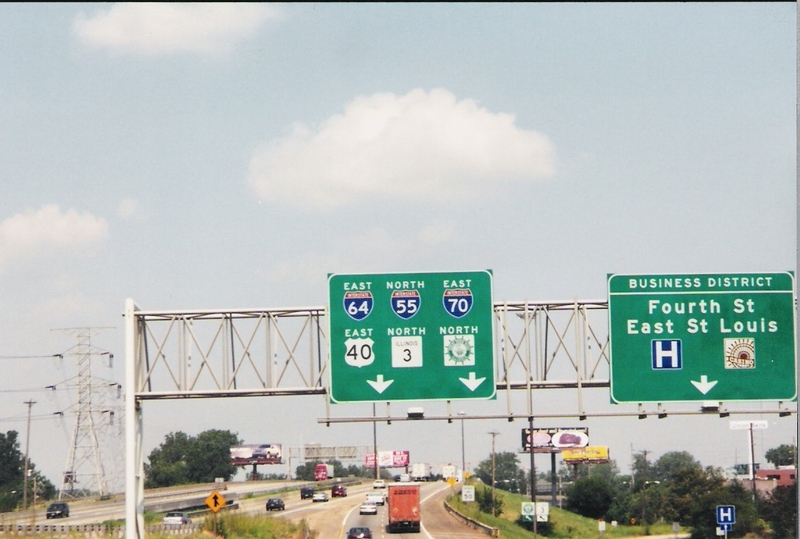 Illinois has pretty signs, thank you very much. That's all!